There is a fortune to be found in being an entrepreneur. On average, entrepreneurs make 50% more than those who are employees and earn immeasurably more in experience, personal growth and job satisfaction. Entrepreneurs make their own schedules, their own rules and their own profits. While many business ventures lead to financial success, other unanticipated rewards of being your own boss are an increased sense of independence and personal importance. Entrepreneurs enjoy the satisfaction of controlling their lives and careers completely. Their victories are their own to celebrate, and their failures are their own to learn from. The entrepreneurs of the world strive to make a difference in a myriad of ways. Some do so very directly, through the formation of various types of non-profit organizations; others choose to do so more indirectly, through everyday means, such as community service and charity work. Regardless of the nature of their enterprise, the fantastic ideas of entrepreneurs provide people with goods and services that they want, need and will pay for. These products can even be those consumers were unaware they wanted. There is always a need for some goods or services, whether it spans retail stores of all kinds, cars and other transportation services, restaurants and grocery, commercial and residential real estate and many more. Entrepreneurs are absolutely are essential to the current push for job creation. New businesses require new employees and the recent influx of entrepreneurs into the workforce combined with an impressively low unemployment rate of 5.7%, prove that entrepreneurship is the future of our economy and our nation as a whole. The companies founded by entrepreneurs require workers at every level of production, and these much-needed jobs are open to all those with a similar affinity for risk and reward. Small businesses alone have created 65% of new jobs since 1995. Entrepreneurs inspire others to follow their own dreams and to push their career goals higher and higher until they are in the exact same position as their employer, starting their own company from scratch, thus adding even further to the amount of jobs available in the economy. The technology revolution, with its introduction of smart phones, tablets and other various devices, allowed mostly technologically gifted entrepreneurs to thrive initially. What many people do not realize is that innovators like Bill Gates and Mark Zuckerberg paved the way for entrepreneurs of all kinds. Their success inspired others to follow in their footsteps, and as a result, the popularity became know as “start-ups.” These companies comprise a large sector of the economy and society as a whole; those who sit at the helm of them are vital to the success of the company and the benefits it will have on society. This in itself makes each entrepreneur just as, if not more important, than their company itself. Entrepreneurs specialize in taking calculated risks, and the smartest risks tend to be those already taken. The real estate industry has already solidified its place in the entrepreneurial world, and so have its brave members, totaling over two million. The market for real estate is beginning to come back with a vengeance, and those prepared to buy and sell the beautiful homes, new and old, will be able to capitalize on a reemerging market. 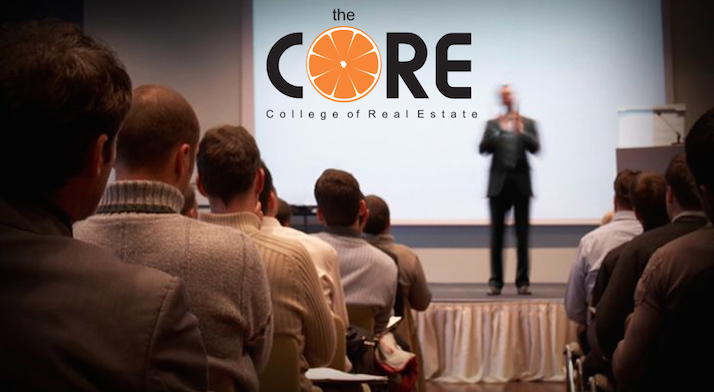 Fortunately, it is easier than ever to acquire a real estate license, and the benefits are infinite. All entrepreneurial ventures are based on the expected risk and potential reward. Today, the amount of risk involved in starting a business is lower than ever and those risks that are still prevalent can be easily overcome. The new technology-driven world not only welcomes entrepreneurs — its computer programs, databases and the wealth of knowledge that is the internet, make it increasingly simple to create your own business. Many entrepreneurs have found it is very possible to thrive in the business world from the comfort of their own home. Over 52% of the small business world is part of this new group enjoying this luxury. For minorities and women, there has never been a better time to join the business world as an entrepreneur. In fact, between the years of 1997 and 2006, the number of businesses owned by a female majority increased 47%, and has since only risen. Today, there are 7.8 million businesses owned and operated by women, and they collectively generate $1.2 trillion. African-Americans, Asians, Hispanics and Native Americans have made significant gains in the business world in the past 20 years as well. As of 2007, minority businesses totaled 5.8, a generous 46% jump within a short five years since 2002 and these numbers have been steadily growing ever since. There’s an old saying, “There’s no time like the present,” and this could not be truer for entrepreneurship. Now is the perfect time to finally start the business you’ve always wanted and a career you’ve always dreamed of. The US economy is on the rise, and the entrepreneurs of today will be the leaders of tomorrow.